Better You Magnesium Flakes are a cost-effective way to indulge in the many benefits of magnesium chloride baths. These flakes are a highly concentrated form of 100% natural, pharmaceutical grade magnesium chloride. Soaking in magnesium flakes as a bath, or a foot soak, helps treat skin conditions, replaces the body's levels of magnesium and provides a relaxing home treatment. The raw materials for BetterYou magnesium Flakes are mined one mile below the seabed from ancient Zechstein sea deposits which are over 250 million years old, before being naturally filtered and condensed. 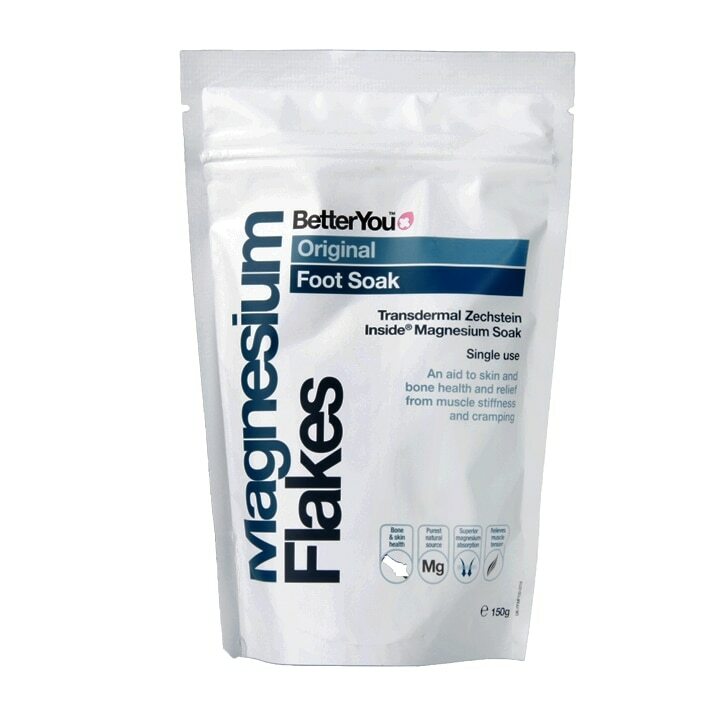 BetterYou Magnesium Flakes is rated 4.8 out of 5 by 28. Rated 5 out of 5 by ShortyDJ83 from Relax I bought this because some told me I'm too stressed and I should take a bath with magnesium flakes it will help to chill a bit. It's works. Highly recommended.